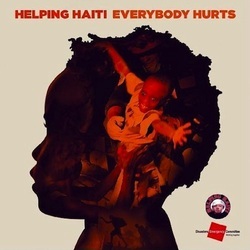 'Everybody Hurts' is a charity single released to raise money for the victims of the 2010 Haiti earthquake. The song features vocal contributions from an array of different artists, including Cheryl Cole. The song is performed by the following artists (in order of appearance): Leona Lewis, Rod Stewart, Mariah Carey, Cheryl Cole, Mika, Michael Bublé, Joe McElderry, Miley Cyrus, James Blunt, Gary Barlow (of Take That), Mark Owen (of Take That), Jon Bon Jovi, James Morrison, Alexandra Burke, Jason Orange (of Take That), Susan Boyle, JLS, Shane Filan (of Westlife), Mark Feehily (of Westlife), Kylie Minogue, Robbie Williams, Kian Egan (of Westlife) & Nicky Byrne (of Westlife). Cheryl features on an exclusive "UK only" remix of 'Check It Out! 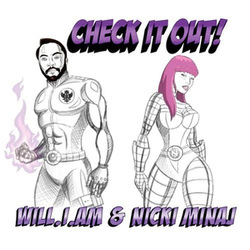 ', a single by will.i.am & Nicki Minaj. However, the main version of this song does not include Cheryl, therefore this is not a Cheryl Cole single. Her remix is included as the bonus track on the CD single and download.